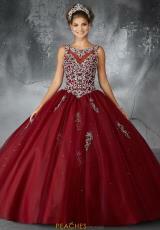 This modest Vizcaya ball gown dress 89067 features an illusion neckline, beaded bodice, and full tulle skirt. 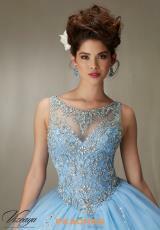 Showcasing a high neckline and stunning bead work throughout the corset bodice. 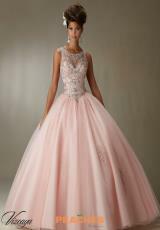 The open lace back design with a ruffled tulle full skirt gives it that princess effect. Complete this dress with the matching stole. 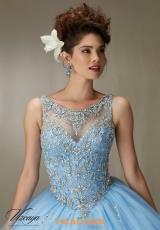 Look for more Vizcaya dresses at Peaches Boutique.